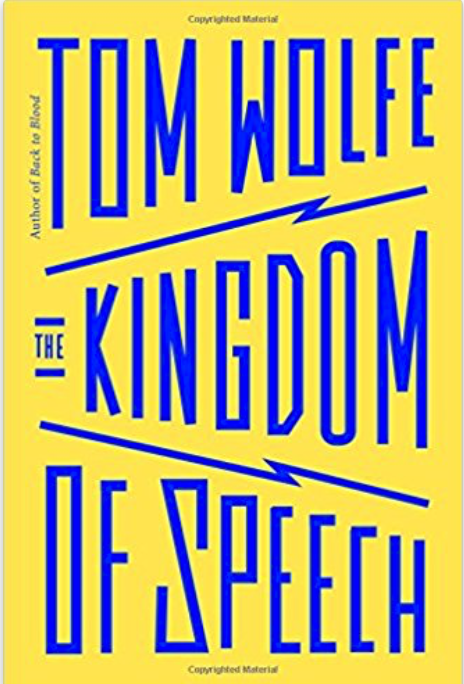 MSE Creative Consulting Blog: Book Review: "Kingdom of Speech"
I just finished reading Tom Wolfe’s Kingdom of Speech. It is the story of human beings’ unique ability to speak and communicate. It also discussed science’s rather surprising 150-year lack of progress in understanding how human’s speech ability developed. The issue of how speech developed calls into question evolution as it has been previously understood. At several points, I was reminded of the current back-and-forth about global warming and the often petty politics of the academy. It also discusses how difficult it is for new ideas to make it into the peer-reviewed literature. The book's discussion of Wallace and Darwin was fascinating. However, when he turns to Noam Chomsky, the book becomes too much of a polemic. While Chomsky certain deserves criticism, it becomes far too personal. For that reason I give Speech 4 out of 5 stars.